Ready to ride when you are, the Verza Speed 50 is capable, reliable and pure fun. 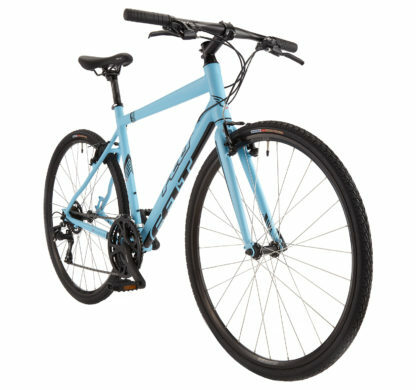 The bike is built with a flat road handlebar for confident handling and an aluminum frame and fork that is durable and lightweight. Grab your Verza Speed 50 and go for your commute, workout or cruise around town.